A loan of $950 helped to buy chairs, tables and a parasol to provide better attention to her clients, also to buy more beef and chicken wholesale. A small stall preparing and selling food was what, with a lot of effort, was achieved by this enterprising woman aged 32 years, called Lizbeth. She is looking for an alternative way to generate income. She had the idea of setting up her business in the town of La Dorada. She is asking for a credit help with the Corporación Interactuar to have work capital to invest it wisely in this difficult time, buying chairs, tables and a parasol to give better attention to her clients. Also to buy more beef and chicken wholesale. She hopes to achieve a prosperous life in the future together with her family. Translated from Spanish by Kiva volunteer Donna Davison. View original language description. 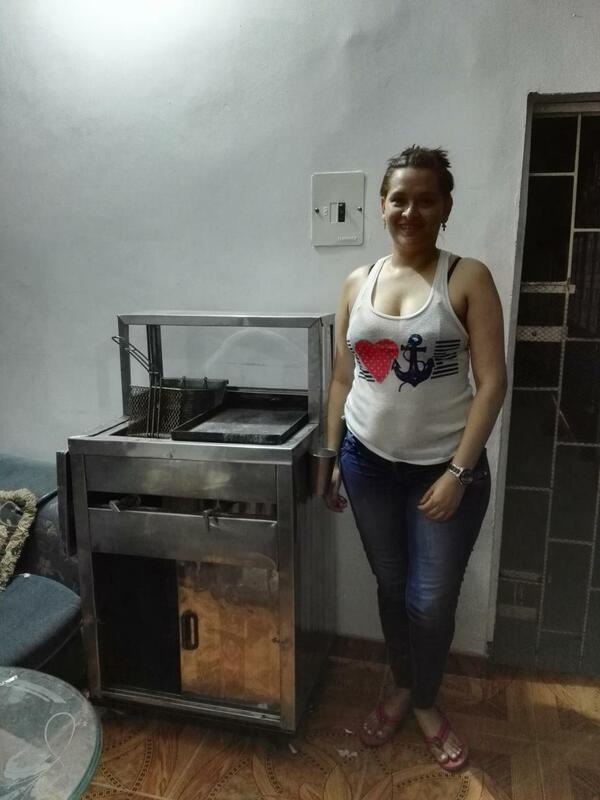 Un pequeño puesto de preparación y venta de comidas fue lo que con mucho esfuerzo logro esta emprendedora mujer de 32 años de edad llamada Lizbeth, que buscando una alternativa para generar ingresos tuvo la idea de montar su negocio en el municipio de La Dorada. Solicita una ayuda crediticia con la Corporación Interactuar para tener capital de trabajo para invertirlo sabiamente en esta época difícil, comprando sillas, mesas y parasol para brindar mejor atención a mis clientes, también comprar más carne y pollo al por mayor. Espera lograr tener una vida prospera en un futuro junto a su familia. It comes with a very innovative business-training package.